It’s time to paint the town… ultra violet! Pantone just announced its Color of the Year, PANTONE 18-3838 Ultra Violet, and we’re reveling in this deep and dark purple hue. Complex and mystically, the Ultra Violet shade leaves us intrigued to see what styles 2018 brings. In the meantime, we’re celebrating with our favorite purple creations as we become closer to ringing in the New Year. Fendi’s indigo calfskin shoulder bag is a must-have to celebrate Ultra Violet’s entrance into the New Year. Its decorative tone-on-tone weave adds the perfect amount of detail to its miniature silhouette. Enigmatic purple is known as a symbol of artistic eclecticism. 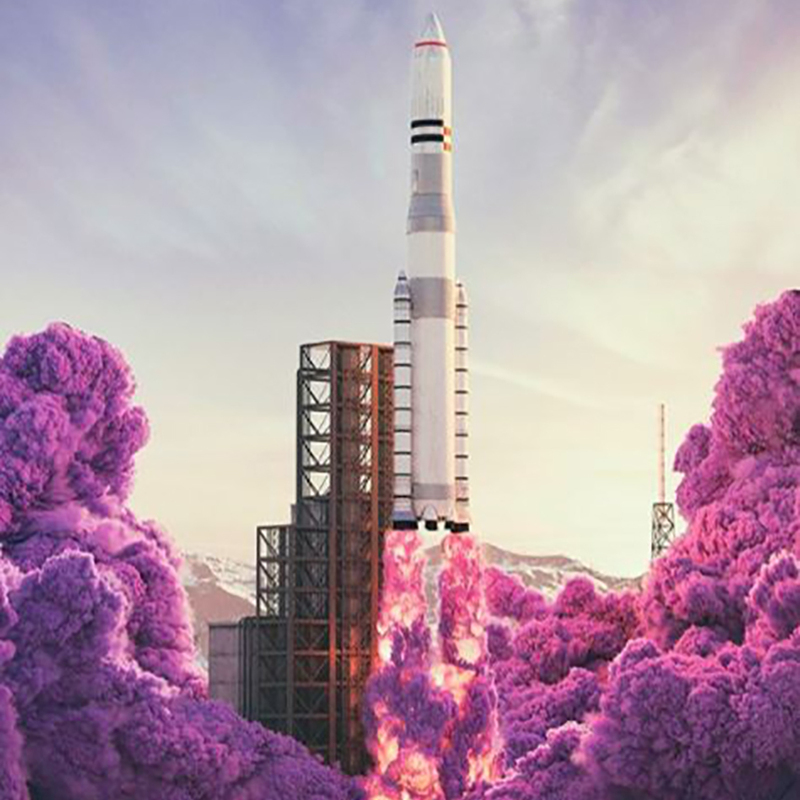 Borrowing inspiration from icons like Prince and David Bowie, Pantone chose Ultra Violet as a shade to mark individuality. True individuals dare to stand out in a crowd. 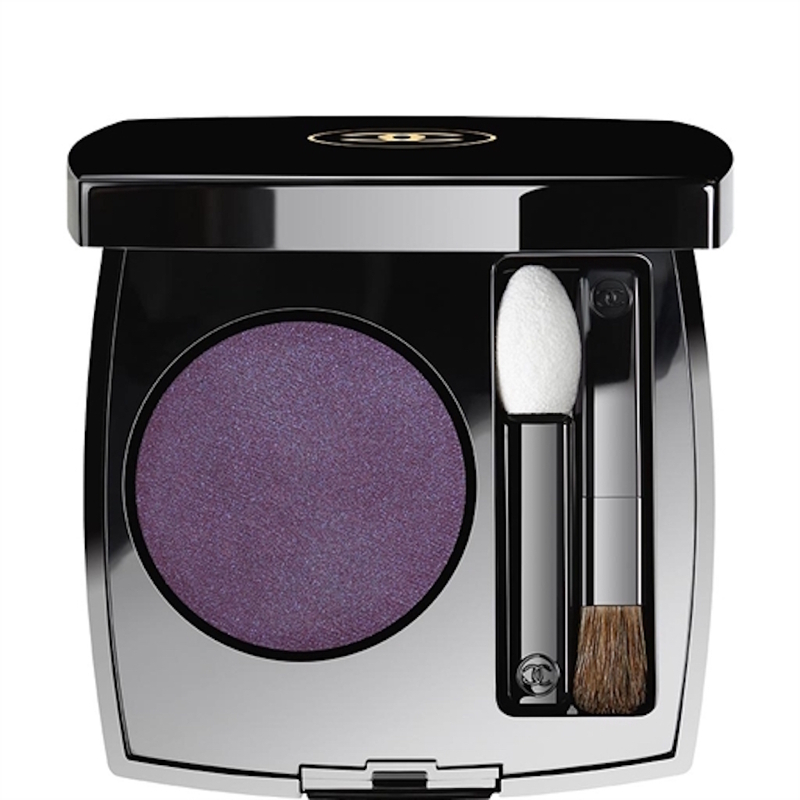 Ditch the traditional gun metal smoky eye with a vibrant violet tone. Chanel’s soft-textured powder shadow offers color to last you through the night. There’s no hotter winter staple than an alluring over-the-knee boot. 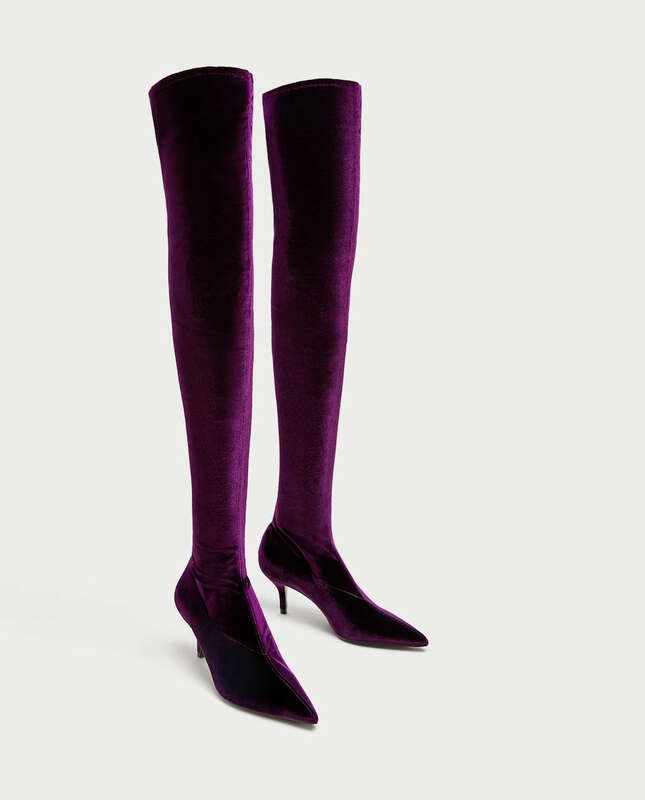 Step into Zara’s velvet over-the-knee boots in Aubergine and fall in love with your longest legs yet. The pointed toe adds length to your stature. Runway ready legs never looked so good! As the ball drops, your year of stylish encounters will just be getting started. Embrace 2018’s coveted color by rocking a ring to turn heads. Known for exceptional craft and dazzling gemstones, Pomellato doesn’t disappoint with the Ring Ritratto. 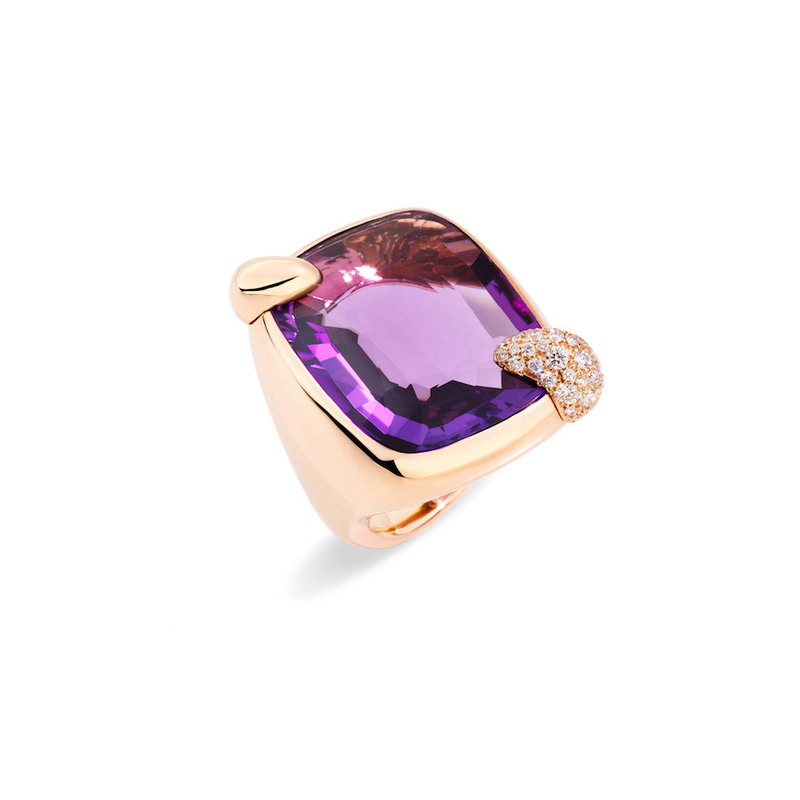 This curved design will grab the attention of everyone in the room with its amethyst center stone and rose gold finish. Last but not least, your Pantone look wouldn’t be complete without this striking DVF number. The stunning deep violet hue leaps off the fabric of Diane Von Furstenberg’s finely tailored dress. The flattering structured cut looks vibrant and luxurious with its subtle sheen. We personally love the contrasting black panels that contour the body in an oh-so-flattering way. Can you say Ultra Violet vixen?